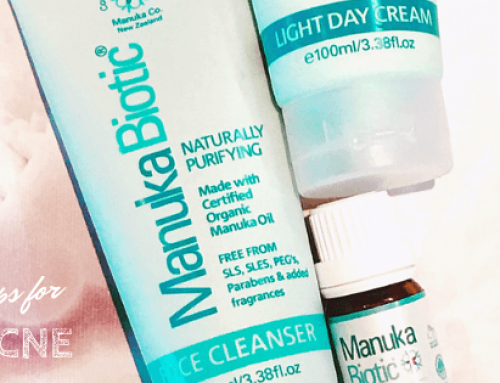 Home/Allergies, Manuka Oil, Skin, Uncategorized/Is there a connection between itchy skin and food? Are You Suffering From Itchy Skin? Let’s face it, everybody itches, but we scratch for different reasons. 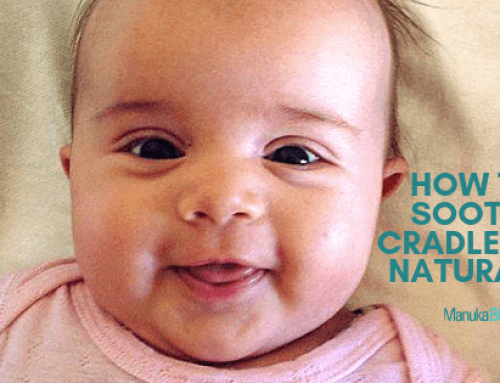 Whether it be bug bites, rashes, allergic reactions, or that chunky wool sweater Grandma gave us last Christmas, there are many different triggers that cause these annoying irritations. In this post we explore wether there is a connection between itchy skin and food. Food allergies and intolerances to cow’s milk, eggs, nuts, soya, wheat (gluten), citrus, food additives, shellfish, and seafood. Our bodies respond to these triggers because they are filled with nerves, that to touch, pain, or itch. ‘Itching’ nerves are activated during allergic reactions when our bodies release a protein called histamine, which is transferred to the brain via the spinal cord. Histamine causes inflammation and is meant to help the body fight infections (for example, from bites or abrasions). Multiple areas of the brain, including those that control emotional, sensory and motivational patterns, are activated by the itch sensation. Antihistamines block the protein from telling the brain about the itch and help us stop scratching. 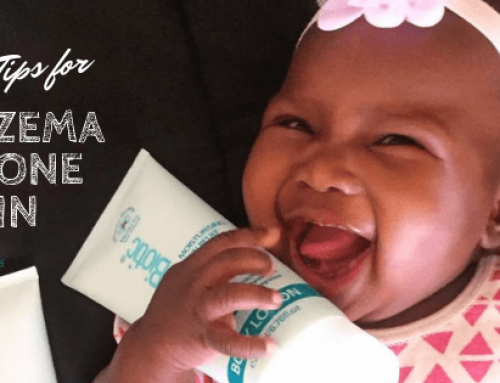 But for millions of people around the world living with itchy skin conditions, such as eczema, dermatitis, psoriasis and a variety of other skin concerns, the constant itching they experience can be debilitating. The frustration of watching a loved one suffering from itchy skin can be hard. In response, we usually seek advice from our health provider and are given topical creams or lotions (often steroids) to apply to the affected area. However, the root cause, or potential triggers, for itchy skin conditions are often never discussed as part of the diagnosis. The symptoms are treated in isolation, attributed to a viral illness, a genetic predisposition for itchy skin, or something a child will grow out of, or symptomatic of getting older, without any understanding of the underlying causes. The result of misdiagnosis is that the topical/ steroid cream prescribed provides some temporary relief of the symptoms for a few weeks, or even months, only for people to have their pre-existing condition flare up again. The common misunderstanding many people have is the cream has stopped working, and they switch to another product, only to have the cycle repeat. What they are unaware of is that there could be a trigger in their home or work environment that is the root cause of their skin condition flaring up. Without awareness of the triggers – for example, the beloved family pet, the household washing powder, or a favourite pasta dish – their skin condition will continue to be aggravated. One of the most common triggers for itchy skin is food, which is a link that is not routinely made with skin disorders. So, could the food you eat be making you itchy? Everyone has heard this old adage, but never before has this statement been truer than today. Over the last 50 years, we have seen a rise in food intolerances, disease, allergies, and behavioural disorders, which have been linked to food and poor dietary choices. It’s thought these changes are largely environmental, and arise from increased pollution, chemicals in water, extensive use of insecticides, heavy metals, toxic cleaning products, and refined foods, preservatives, and colourings that were not present in our grandparents generation. The reality is these environmental factors have compromised our food eco-system (soil, water, genetically modified seeds etc.). This, along with the introduction of processed foods, has impacted the overall quality of the food we eat. What are Food Allergy or Food Intolerance Symptoms? The symptoms of food allergies and intolerances are wide and varied because people can have different reactions based on their genetic, biochemical, and metabolic make up. For example, two members of a family may have a common allergy to shellfish, but each person will have an individual response to the trigger food. Dr Rodney Ford, a pediatric gastroenterologist and allergist consultant internationally recognised as an expert on adverse food reactions, has complied a “Big List”. If you recognise any of these symptoms, he suggests that you could have a food allergy or intolerance. The “Big List” includes skin, respiratory, gut and brain symptoms. Changing your diet can make a significant difference to your overall health. 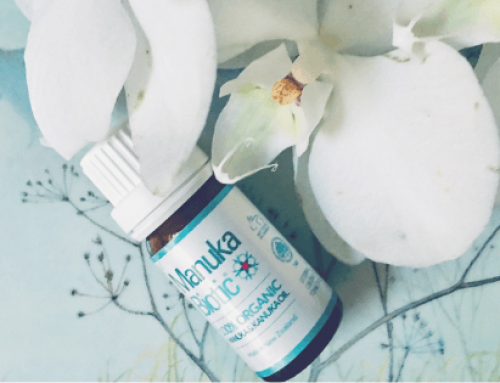 It helps the liver function properly, and if you eat alkalising foods, you can reduce the acidity in your body, which can help control your itchy skin conditions. No matter what food belief system you subscribe to, whether it be meat and potatoes, vegetarian, Paleo or the like, it’s a good idea to remove some common food allergens from your diet while you’re dealing with skin conditions such as eczema, dermatitis and psoriasis. These are the first foods to consider. Other food allergens that can cause a reaction are food additives, preservatives and colourings. It’s important to point out that allergies tend to run in families. Research by the British Skin Foundation suggests that if one parent suffers from hayfever or pollen allergies, their children have a 20% risk of developing the same allergies, or a variation. If you are one of the millions of people living with dry, flaky, itchy skin, which sometimes bleeds from relentless scratching, then you’ve struggled long enough. The time has come to get answers, and see if your skin condition, or any ongoing health symptoms, are bought on by food allergies or food intolerances. 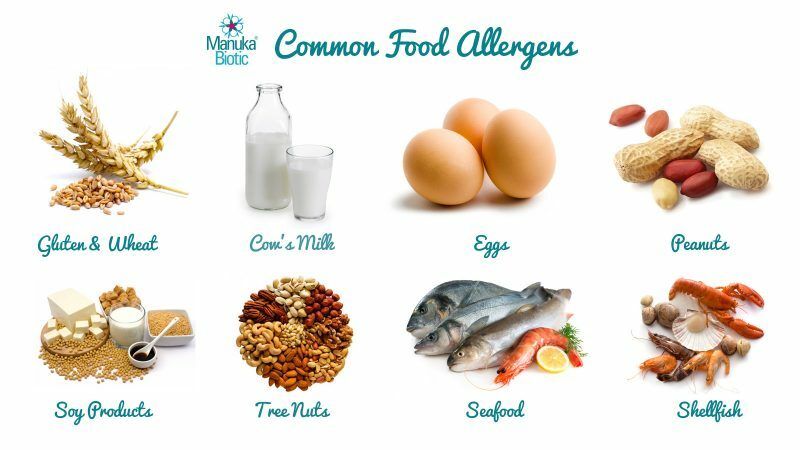 Your doctor or allergen specialist can help to narrow down the list of suspected food allergies and food intolerances by doing skin-prick allergen tests and blood tests to confirm or exclude specific food triggers. Once identified, the elimination of these foods from the diet can help confirm these foods as culprits. It’s important that any child or adult who has food allergies, who may need a restrictive diet, are under the on-going care of a health professional with appropriate nutritional training to provide any nutritional support, probiotics, and multi-vitamin-mineral supplements. What changes are you going to make to the foods you eat today, so you can stop being itchy? More Information on allergy tests is available on the Australian Society Clinical Immunology and Allergy (ASCIA) website, who are the professional body of clinical immunology and allergy specialists in Australia and New Zealand.